Designed for iPad, iPhone, and iPod Touch. 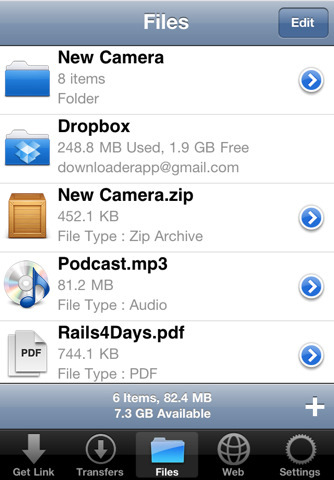 Filer is a unique application for iOS devices that lets you manage, view, and share your files. You can get your files on the go when you do have a network connection, and view them when you don’t. ✓ Extract RAR, ZIP, TAR, and Gzip Archives. ✚ Filer is rated 17+ because it provides access to any web site through the integrated web browser. ✚ Network abuse is not promoted, please be aware of your wireless carrier’s terms of service. For support, please visit the support link. We have no way to respond to App Store reviews. ⁃	Web Browser tweaks: Reload button is now in the address bar, Forward button has been added.